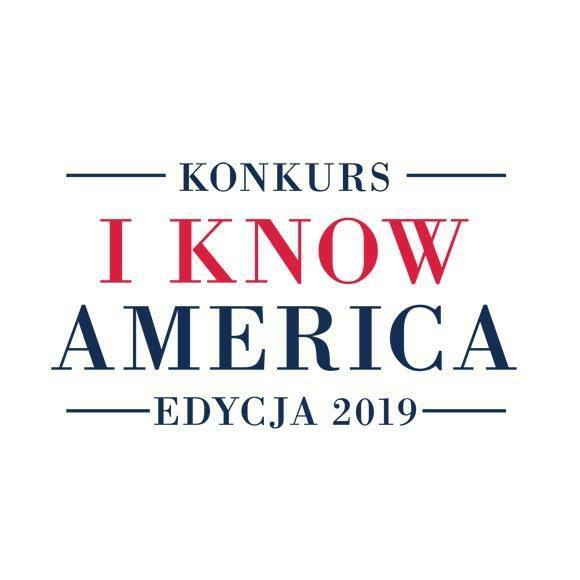 FLEX Alumni in Poland participated in the “I Know America” high school youth competition that marked the 100th anniversary of U.S.-Polish diplomatic relations. 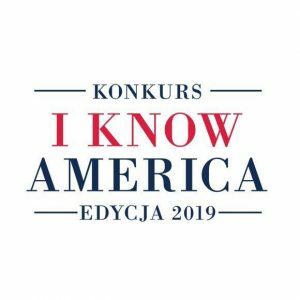 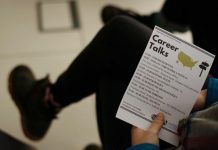 The competition is organized by the Rural Development Foundation in cooperation with the U.S. Embassy in Warsaw and the American Studies Center of the University of Warsaw in Poland. 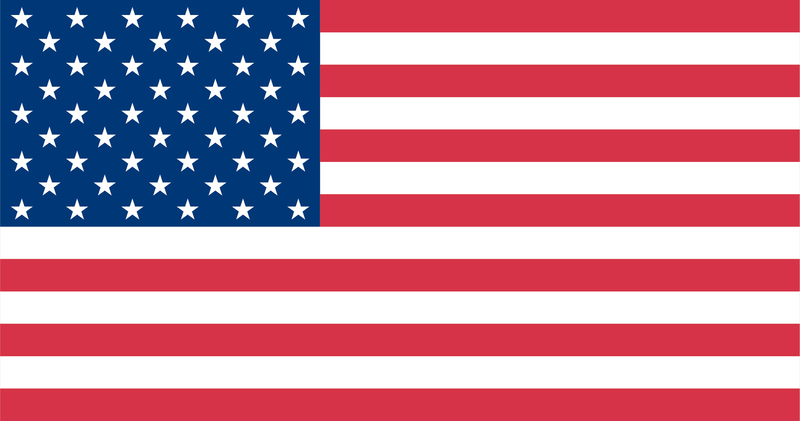 The competition tests participants’ knowledge of American history, culture, geography, and politics. 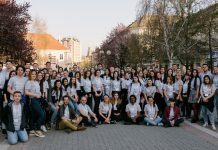 Out of the 1500 applicants from across Poland, the top finalists came to Warsaw for the final stages of the competition in late February and included the group were FLEX Alumni Ania Rygielska ‘18 (Wroclaw, Poland /Savannah, GA), Kacper Magier ‘18 (Plock, Poland/Manchester Center, VT), and Grzegorz Jankiewicz ‘17 (Wroclaw, Poland/Fairview, IL) who placed third and received awards for their essays, respectively. 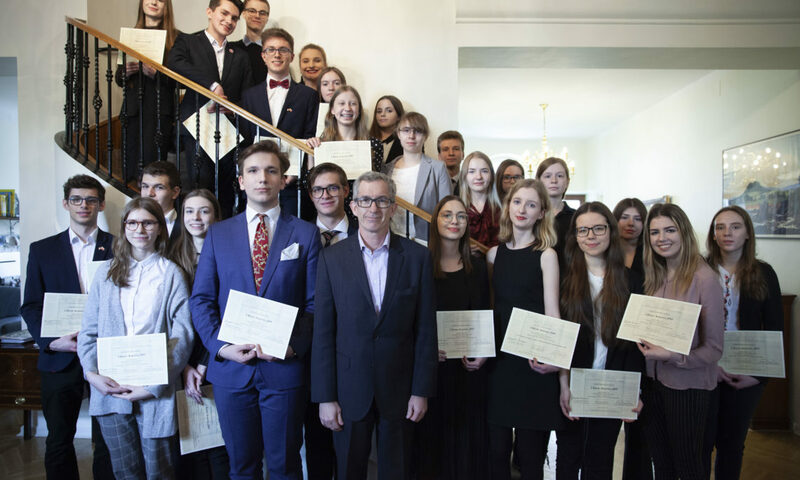 Ania‘s third place finish won her a scholarship from the American Studies Center to attend the University of Warsaw. 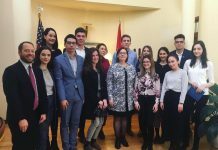 FLEX alumni actively took part in the events related to this program including a culinary workshop led by Deputy Attaché for Cultural Affairs, Scott Whitmore. 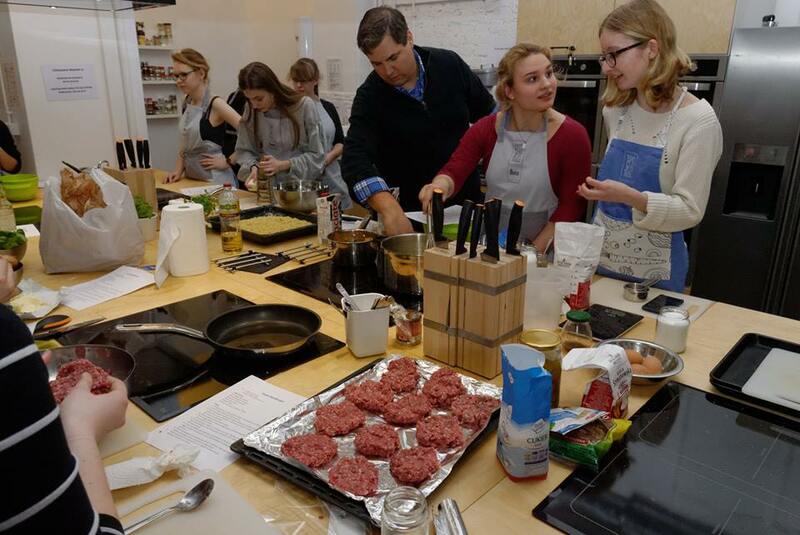 Whitmore and the alumni celebrated by making American favorites, such as hamburgers sliders, macaroni and cheese, and chocolate chip cookies. 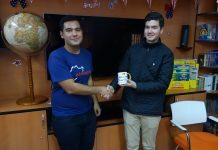 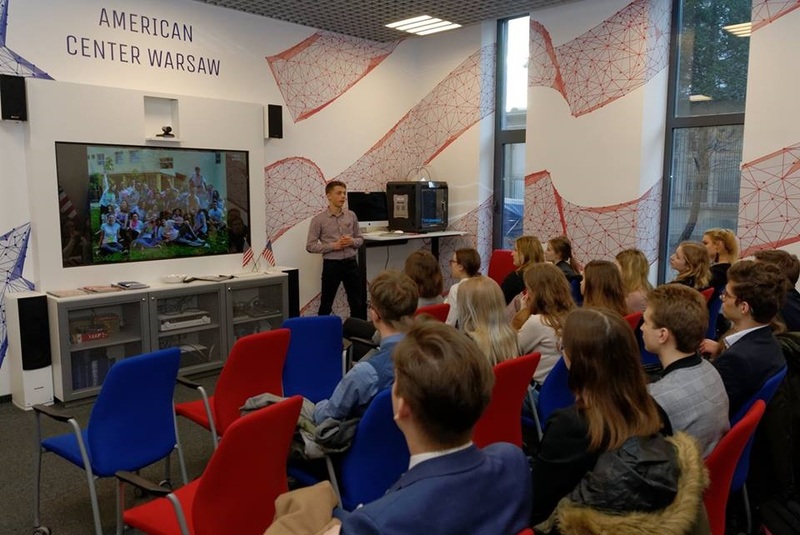 The FLEX alumni who participated in this activity eagerly shared their FLEX experience with the other Polish students participating in the program and were happy to relive aspects of their exchange through the “I Know America” contest.